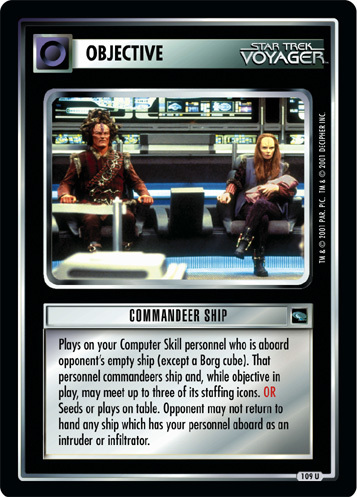 Plays on your Computer Skill personnel who is aboard opponent's empty ship (except a Borg cube). That personnel commandeers ship and, while objective in play, may meet up to three of its staffing icons. OR Seeds or plays on table. 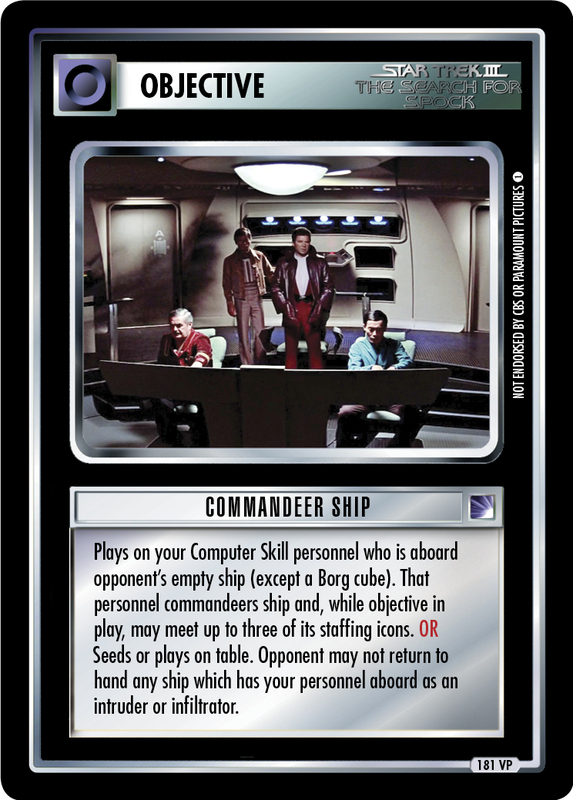 Opponent may not return to hand any ship which has your personnel aboard as an intruder or infiltrator.